Does taking your automobile in for a repair make you uneasy? It shouldn't. Here at Weber Automotive we understand that not everyone delivers honest and fair auto repair as we have always done. 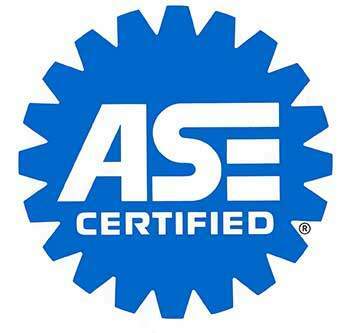 We believe in providing honest service to our customers which is why all of our technicians are certified in every aspect of a vehicle by ASE (The National Institute for Automotive Service Excellence). You can trust our certified technicians at Weber Automotive in North Olmsted, OH with the care of your vehicle. why should I trust my vehicle to a certified technician? There are a lot of people in the auto business that have no problem taking advantage of you by saying something is wrong with your car when there isn't, and that's just not something we have ever done. It's very important to us that all of our technicians are certified in every area of a vehicle. Having certified technicians on staff allows us to diagnose problems quickly, which ends up being cheaper for our customers. We're not guessing by replacing parts and seeing if it fixes the problem. We know how it works and we know how to diagnose and fix it right! All of our technicians are ASE certified, and four of our technicians are Master Automobile Technicians. That means they've been certified in all of the courses ASE offers for an automobile. But I Just Need a Simple Service - Should I still see a Certified Technician? Cars are not getting any simpler. They are computer technology marvels on wheels with 15-20 different computers talking to one another at a time. No matter what service you're getting done, an oil change or even a lightbulb change, a certified mechanic is taking care of it. This allows us to notice any other problems in other areas of the car. We know how things work and can pinpoint these issues up front, whereas someone without experience and training may not notice those issues. 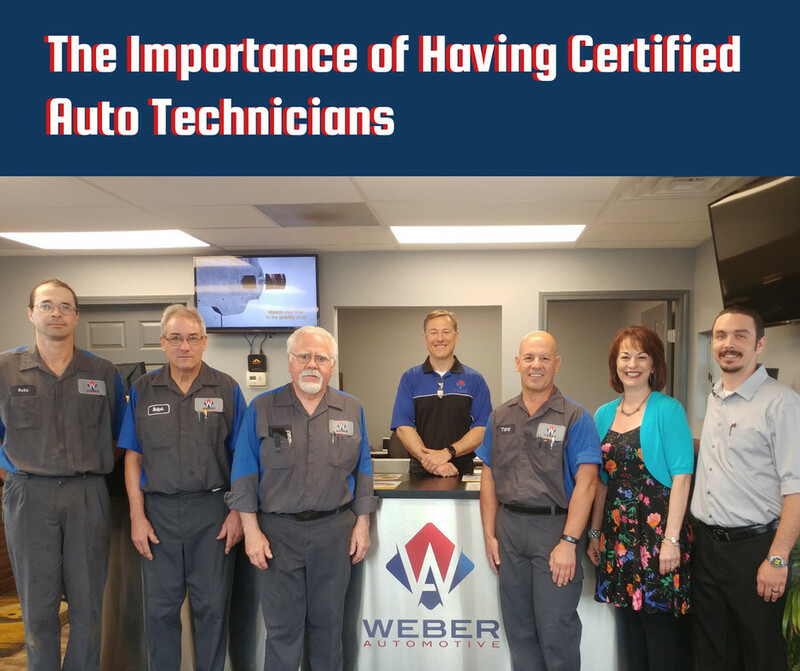 If you're looking for an auto shop in Northeast Ohio, look no further than the team of certified technicians at Weber Automotive. Our certified technicians will provide you with honest and fair service, and can potentially save you money by diagnosing issues early. Get started by giving us a call or contacting us today!